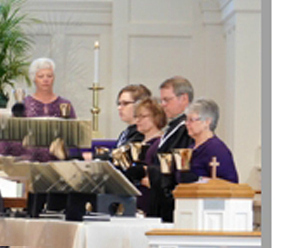 The Chancel Choir is an integral part of the church and its ministry, assisting in weekly worship at the full service on Sunday mornings. The all volunteer group has become renowned for its special works around the holidays and for its two annual concerts with instrumental accompaniment. Our choir is under the direction of Richard Wink, PhD, former Professor of Music and Department Director at The Ohio State University - Mansfield. He and many members of our choir are past or present members of the Mansfield Symphony Chorus and other Mansfield area performing groups. We are often joined by members of the Mansfield Symphony performing as soloists, and from time to time we are graced with well-known soloists including one of our own congregation, well known opera singer, Sylvia McNair. Practice is scheduled for 6:30 on Wednesday evenings and all who enjoy music and singing are invited to participate. The choir schedules a number of social activities as well for its members. Contact Dr. Wink through the Church office @ 419-756-3046. Another inspirational part of our music program is the bell choir. 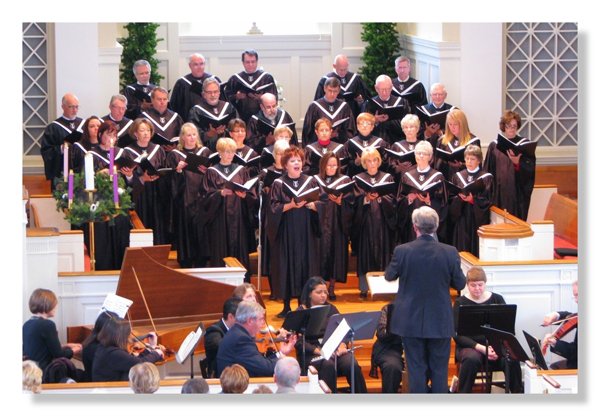 It regularly provides an additional level of music to Sunday worship services. Practice is held on Wednesday evenings at 5:30. Contact the Church office at 419-756-3046.